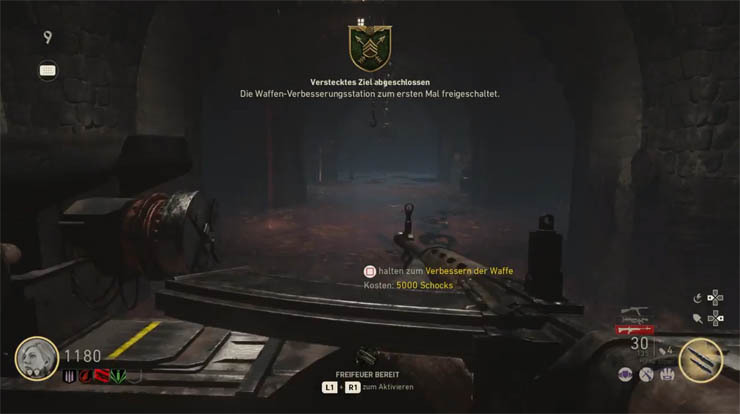 In this guide you'll find complete instructions for unlocking the Pack-a-Punch machine (PaP) in The Final Reich zombies map. 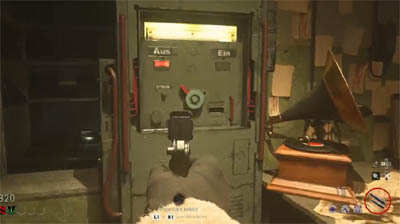 The PaP machine is no different in COD WW2 than any other zombies mode to date - it still provides a powerful upgrade to your desired weapon that will come in handy at higher rounds and certainly during the main Easter Egg hunt. 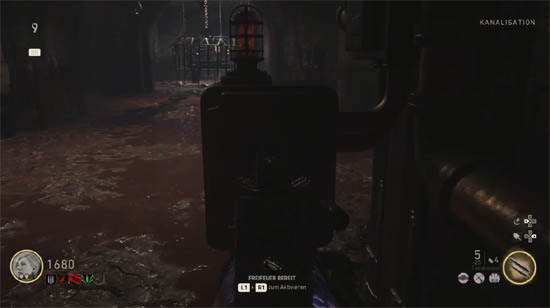 The PaP machine in The Final Reich is located deep inside the sewer but it's locked behind a metal cage which is inaccessible at first. 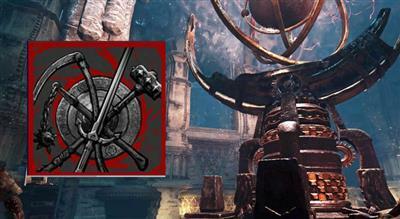 Players need to remove the metal cage before the PaP machine can be used to upgrade weapons for 5000 points. Ok, by now you should be familiar with quests in Sledgehammers new zombies mode. These objective based tasks will guide you through certain parts of the map and in particular will unlock new areas. With regard to the PaP, we're interested mostly in the quests that open up the sewer and bunker area of the map. We also want to open several doors to access sewer pipes - more on this a little later. For now let's start with the sewer quest as we begin the step by step guide.. The Sewer quest is the first quest in the game and it's a fairly simple one. 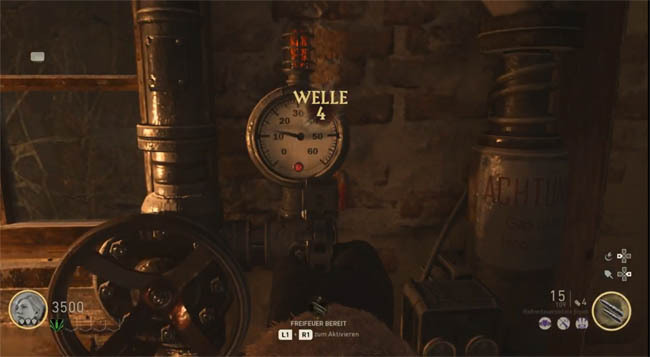 Locate the three gas units in the Village Square and increase the pressure (by interacting with the unit) until the green light appears. The gas units are all found in the Village Square, mostly on the sides of buildings. They appear is large pipes with a circular dial/cog on the front and a pressure gauge. Make sure the coast is clear of zombies before holding down the button - it'll take a few seconds before the pressure reaches 60 and the green light comes on. Once all three gas units are done, return to the central area where the sewer gates and wooden platform are. Interact with the machine near to the wooden platform to ignite the gas. Stand back as the explosion rips off the wooden planks, revealing the entrance to the sewer. After opening the sewer, head down into the sewer tunnels and activate the machine on the left. Return to the surface and pay to open the bunker door. Explore the bunker in detail, reaching the Command Room area. Now to find the actual PaP area. Head into the sewer tunnels and go as deep as you can, eventually spotting the metal cage. Now locate the red button on the wall - it's just in front of the PaP metal cage. Press the button and watch as the cage judders, moving slightly upwards as if it would come off. This is the start of the removal process. You'll need to find three more buttons to complete the process entirely and remove the protective cage. The problem here is that whilst the other buttons are in the vicinity of the PaP cage they are inaccessible behind metal gates. To reach them you must travel through sewer pipes that are spread around the map. After locating a sewer pipe, pay 250 points to slide through. Press the red button on the wall after you land. Repeating this three times, once for each of the pipes, and the cage will be completely lifted off the PaP machine.